Affirmation: I consciously request and accept the help of angels. My life flows easily with grace. The energy of healing, love, and well-being flows through me. Meditation is a normal part of my day. My crown, third eye and throat chakras are balance and aligned. Affirmation: I consciously request and accept the help of angels. My life flows easily with grace. The energy of healing, love, and well-being flows through me. Meditation is a normal part of my day. My crown, third eye, and throat chakras are balanced and aligned. About the stone: Scolecite is a member of the zeolite group of minerals, characterized by the easy substitution of the elements calcium and sodium. 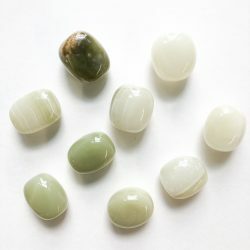 Spiritual uses: The ability of this stone to hold an electrical charge under pressure opens the portals residing in the crown, third eye, and throat chakras, allowing for the download and processing of Divine inspiration, healing light, and true wisdom. 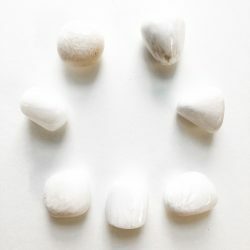 Mental uses: Use scolecite with conscious intent to conduct the incoming and outgoing wisdom, vibrations, and communication from the spiritual realms. It also holds the vibration to help you with your memory and focus as well as your ability to transition from the sleeping and waking states of consciousness. Emotional uses: Scolecite brings about behavioral adjustments when used with purpose. 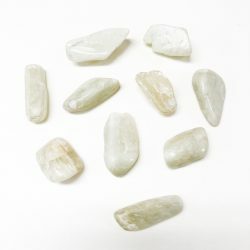 With this stone in hand, set your intention on rebalancing attitudes and responses. 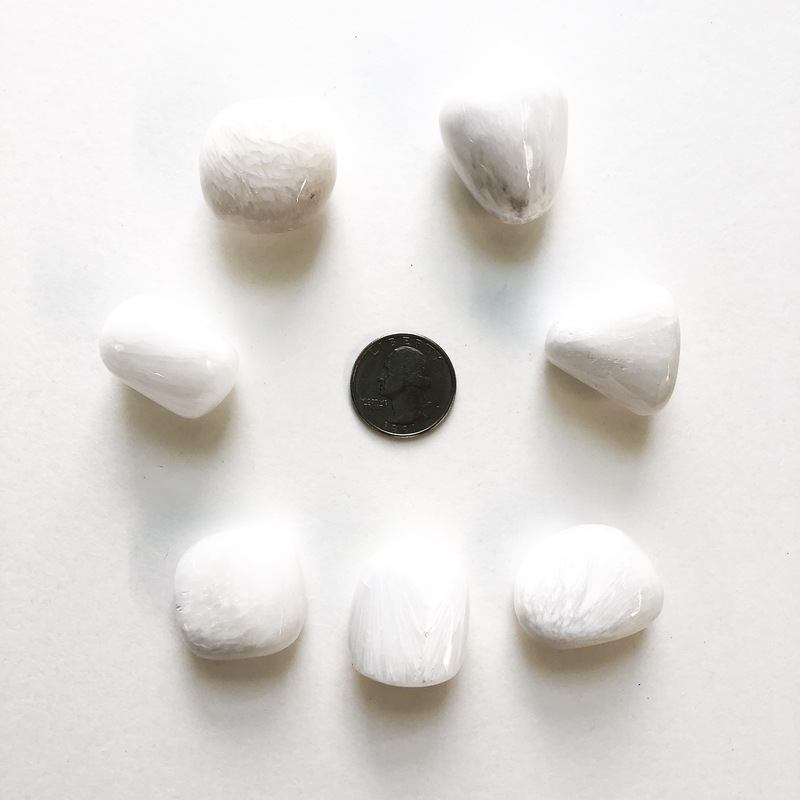 Physical uses: On a physical level, scolecite helps with brain function especially as it relates to the plasticity of the brain. It aids in stress reduction, relieving pressure, and inflammations throughout the body and helps to lower blood pressure.